More than 250 people packed the Waterville Opera House for the World Premiere of “Tapped” on Sunday, July 12. Stephanie Soechtig’s debut feature is an unflinching examination of the big business of bottle water. 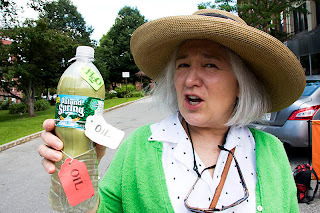 The timely documentary examines the unregulated and unseen world of an industry that aims to privatize and sell back the one resource that ought never to become a commodity: our water. 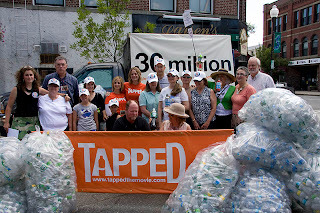 From the plastic production of bottled water to North Pacific Ocean Gyre where millions of these bottles end up, Tapped trails the path of the bottle water industry and the communities which were the unwitting chips on the table. 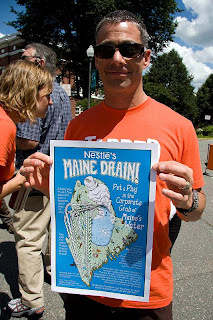 The movie features grassroots stories from Fryeburg and Southern Maine where local residents have waged long campaigns to stop the Nestlé Corporation from mining their communities groundwater to resell under the Poland Spring brand name.